The benefits of installing air curtains are covered in our recent blog “Energy Saving Air Curtains: How do they work?” Two main advantages highlighted include providing a comfortable indoor environment within buildings and the potential for significant energy savings. Air curtains achieve this by producing a stream of air directed across a doorway, creating a “barrier”. This helps to prevent potentially dirty, hot or cold outdoor air entering the building thereby reducing uncomfortable draughts. This provides a high level of indoor air quality while simultaneously minimising the leaking of conditioned, filtered air within the building. Whilst the need to achieve “healthy” buildings has been one of the main factors influencing the designers, the use of energy within buildings is increasingly under review, with new legislation being introduced to encourage the use of energy efficient solutions. A significant proportion of the total energy used goes towards heating and cooling in buildings, so incorporating simple, efficient controls for air curtains will lead to an effective method of reducing energy usage. The Enetec 18 air curtain controller is the latest development from Envirotec which has led the way in air curtain design and technology for the past 50 years. By listening to our customers, using our experience of the industry and understanding many of the challenges facing building owners/operators, the development team at Envirotec has produced an efficient, intelligent controller that is quick and easy to use and will ensure you will get optimum performance from your air curtain. 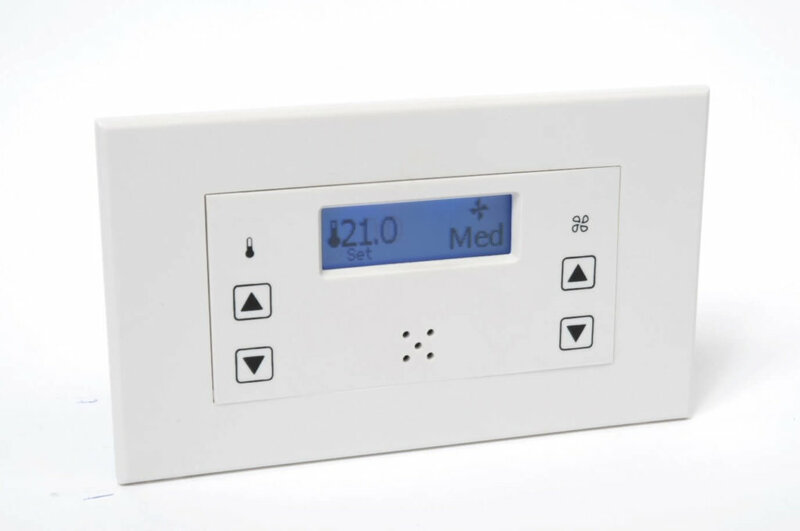 The controller automatically adjusts operation of the air curtain saving energy and reducing costs by adjusting fan speeds, changing the heating output or even turning the heating off all together. Whatever building you have – whether an office, school, restaurant or retail shop – using the Enetec 18 controller will ensure optimum performance from your air curtain for a great indoor environment whilst contributing to significant savings on your energy bills and carbon emissions. Please contact us for further details on the Enetec 18, including updates on our launch date. Envirotec engineers are innovators in air curtain technology and air handling solutions. We design, make and install our technology right here in the UK. For more information about Envirotec and its range of energy efficient air curtain solutions, get in touch today for a free, no obligation quotation.